In the heat of summer, people typically scream for ice cream. But something that’s just as scream-worthy? Crudite. Proving that fresh, seasonal vegetables can be perfect in their simplicity, restaurants throughout Chicago are showcasing produce via assorted crudites with different dips and seasonings. Cafe Marie-Jeanne: Everybody loves sour cream and onion dip. 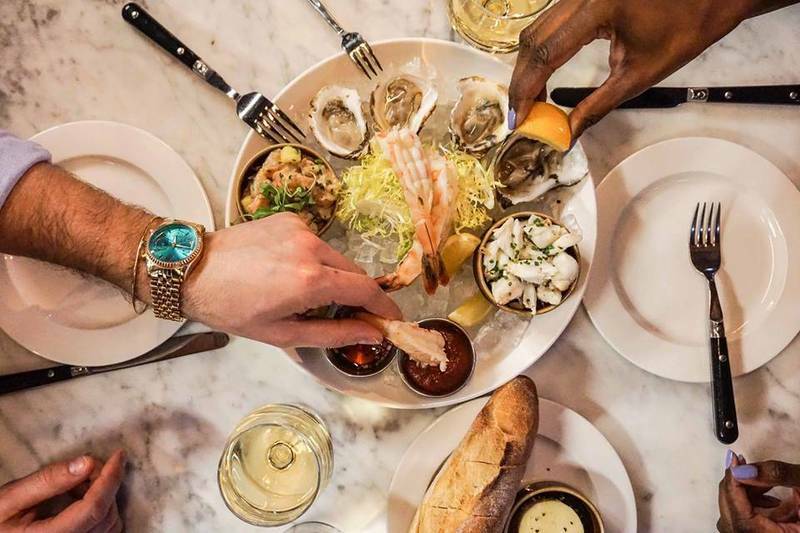 At Cafe Marie-Jeanne, chef Mike Simmons freshens up the iconic party dip with a whole garden’s worth of fresh veggies. The housemade sour cream and onion dip, made with fresh cheese and creme fraiche, comes with whatever assorted items are in season at Green City Market items. On any given night, even during the same week, the roster of crudite provisions may be different. Examples include wild ferns, fennel frond, asparagus, turnip, radish and apple. 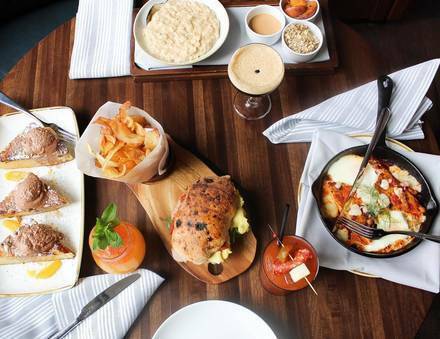 Bar Marta: Cottage cheese has never been cooler than at Bar Marta. 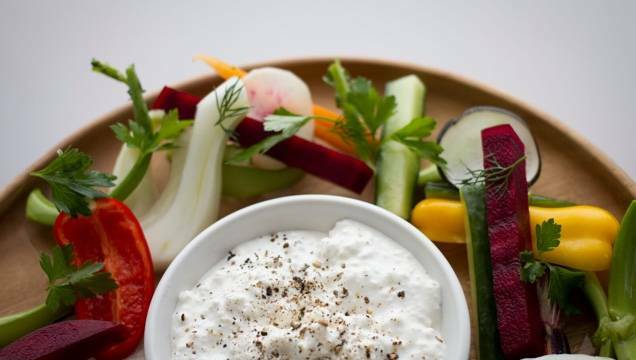 This Humboldt Park hot spot makes its own buttermilk cottage cheese as the crudite centerpiece for a beautiful melange of summer vegetables, from slivered summer squashes to cucumbers. 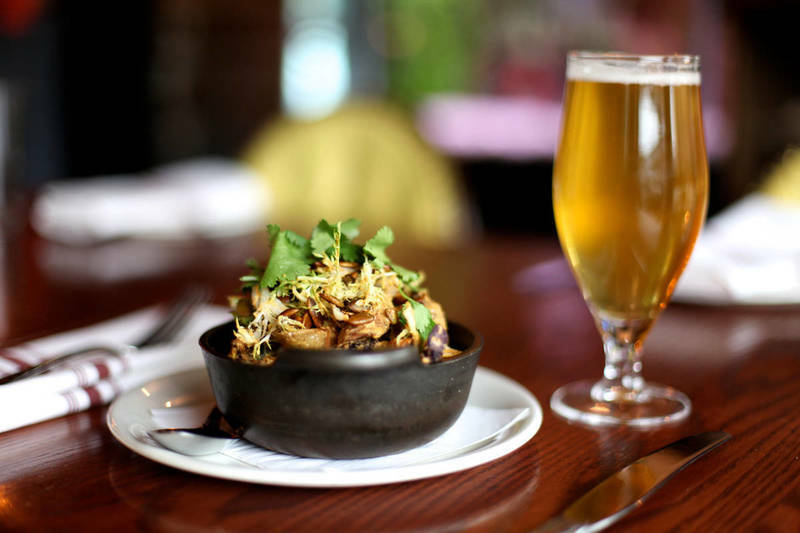 Ēma: Brand new to River North’s restaurant scene, Ēma couldn’t have emerged at a better time. 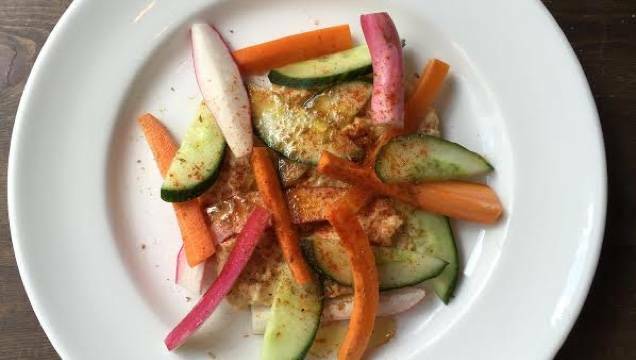 The Mediterranean-accented restaurant from CJ Jacobson features a variety of light and fresh creations, including a vegetable crudite served with za’atar-spiced hummus. Stella Barra Pizzeria: Before you dig into Stella Barra’s famed pizzas, an apt starter would be the restaurant’s colorful crudite. Shaved radishes, cucumbers, carrots, jicama and sweet bell peppers are served with cauliflower hummus and arugula pesto, making for one of the best and brightest renditions in town. Acanto: Who says crudite can’t be decadent? One surefire way to up the comfort food factor with fresh vegetables is by serving them with parmigiana crema, like the version being served at Acanto. Along with a melange of tomatoes, carrots and radishes, the crema is accented with lemon oil and red pepper. Chop Shop: This Bucktown butcher shop/restaurant/bar may have a reputation for meat, but the kitchen is just as adept at seasonal vegetables. 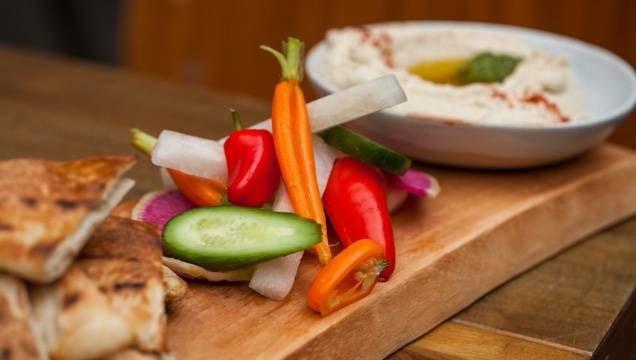 For instance, a smoked pea hummus crudite platter is just as alluring as Chop Shop’s famous charcuterie spreads, outfitted with assorted vegetables and flatbread pieces. The Kitchen: Another spot for hummus and crudite is The Kitchen, one of River North’s go-to destinations for farm-fresh ingredients in stunning presentations. Here, baby fennel, radish and baby carrots are the vegetables of choice, beautifully arranged over a bed of chickpea puree. Cafe des Architectes: Proving that crudite can be much more than a smattering of veggies and dip, Cafe des Architectes goes a step further (several steps, actually) by serving baby greens and cheve on a housemade barley cracker and rounding it out with their own Chestnut Provisions lamb salami. avec: Embracing its Mediterranean roots, avec goes full-force with its version of crudite. It’s actually a beautiful mezze presentations of chermoula-spiced carrots, marinated artichokes, labneh, cherry tomatoes, pita and beet muhammars, which is a take on a traditional rice dish from Bahrain.